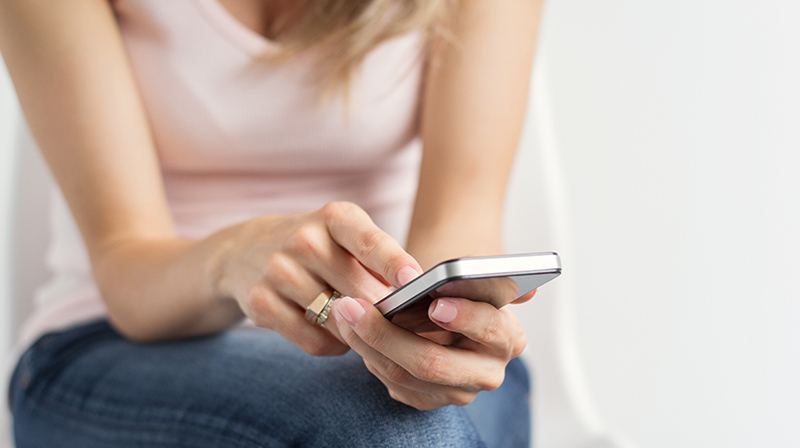 What makes a website mobile-friendly? Making a site easy for visitors to read is great, but there are other features of mobile-friendly sites that have to be present to get the full benefit of “mobile-friendliness.” Make sure your site has these features for optimum performance. for with just one or two clicks. Also, when an individual can find information quickly, they are more inclined to share it with others (i.e., prospective patients). Simple is always better when it comes to a business’ website. Cluttered, busy layouts look dated and make it hard for visitors to find what they’re looking for. “Calls to Action” should stand out from the rest of your content and redirect visitors to the necessary page so they can become a potential patient. Make sure that your calls to action are large, easy to read and clickable. Visitors will be more inclined to take action and call you if all they have to do is click on a phone number to dial the call automatically. Most people will be on their smart phones when looking at your website. In fact, 80 percent of Internet users use smartphones to search on the Web, so making sure your website not just mobile responsive, but mobile optimized, is important. Most people don’t want to spend much time filling out documents while determining if your business is right for them, especially on a mobile device. Keep the form submission process simple by limiting your total number of entry fields to only the absolute necessary information needed to schedule an appointment. Google penalizes websites that take too long to load on a mobile device, causing your search rankings to drop, even if you are trying to satisfy their search algorithm by making your website mobile friendly. Always test your website updates on a mobile device to make sure it loads quickly and that there are no problems with the coding or layout. If clients are viewing your page on the go, they will feel frustrated if they are directed to a page that isn’t easily viewable on their phone. If you link to other websites, make sure they are also mobile friendly. Want more web optimization tips? For more on the latest marketing strategies for medical practices, contact us! We’d love to talk more about helping you get the most out of your marketing. Emily works in digital marketing and communication, specializing in SMB marketing strategy. She has done marketing since 2009, with roles in content management, writing, social media marketing, and project management. Currently she focuses on content marketing for the eDoctors network of brands, including VeinDirectory.org, JustBreastImplants.com, JustMommies.com, and SoberRecovery.com, and collaborates on marketing projects for other properties in the Internet Brands Health Vertical, such as WebMD. Her freelance writings on marketing, community management, and lifestyle topics have been published online and in niche magazines and journals, such as VEIN Magazine.